Newly updated in Shore Acres! Situated on a corner lot, this house has been transformed into a relaxing retreat using a modern gray color scheme. The living area features dark, rich flooring and kitchen literally sparkles thanks to the gorgeous quartz countertops and new appliances. Off the kitchen, the large master bedroom features a renovated en suite bathroom with walk-in shower and ample closet space. On the opposite side of the house you'll find two additional bedrooms (11x11) and a second full bathroom (also renovated!). A 4th bedroom, just off the living room, would make a great office, craft room, playroom...you name it! Aside from the home's versatility and gorgeous design, the best part is the impressive bonus/family room featuring wood ceilings, contrasting beams, open shelving, a fireplace, and views of the yard (which has been freshly sodded) from all angles. The HVAC system is brand new to ward off the summer heat or you can head over to the Shore Acres Rec Center (just 1 mile away) which features an aquatic facility with a six lane pool and a wade pool that's perfect for toddlers. You can also enjoy a covered playground and a variety of programs for youth, teens and adults there. The house is also walking distance to Denver Park, which is 5 acres of basketball courts, tennis courts, wilderness area, and a softball field. Shore Acres is a coastal community on Old Tampa Bay. 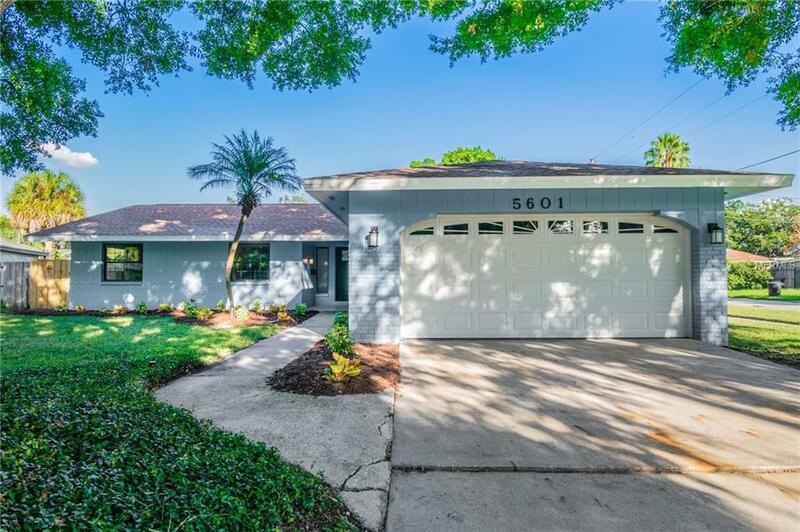 It's minutes to I275, downtown St. Pete, amazing restaurants, and world famous beaches. Start living the salt life now! Listing provided courtesy of Lombardo Team Real Estate Llc.